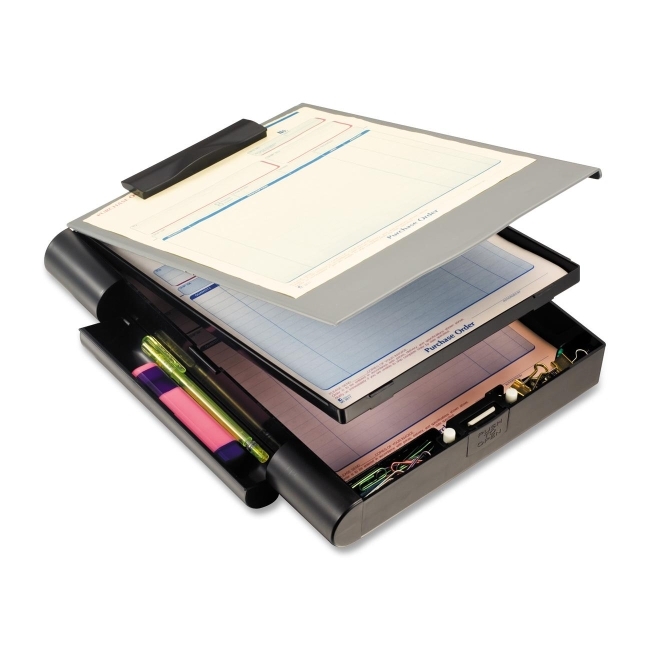 Top-opening form holder is made of durable plastic with ergonomic soft hand holds. Open easily with a push button. Design includes double storage with two compartments, three clips/pens compartments, and plastic-covered sturdy clips. Form holder holds letter-size and A-4-size documents.